UPA works with a number of different projects to help facilitate better coordination in assisting Refugees, Asylum seekers and Migrants. Developing a food aid strategy for Migrants in east Leeds which enables individuals and families to access food on a repeated basis. 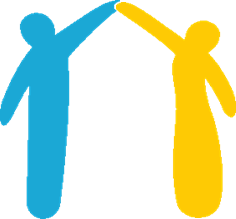 Channeling volunteers to initiatives so they can support refugees and asylum Seekers. For example City of Sanctuary advertise voluntary posts on their website. UPA links Church Church Community Groups with Abigail Housing in order to see Christians overseeing a house and giving support to refugees who live there. 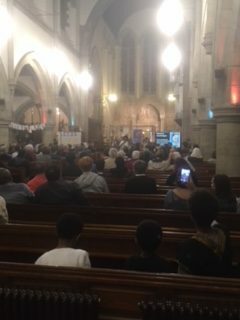 WYDAN is seeking to provide emergency accommodation for destitute asylum seekers through working with churches in Leeds. 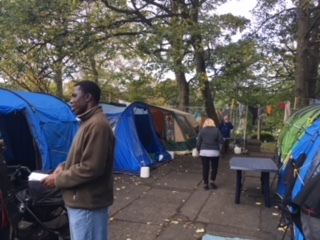 Below are images from the Horsforth Refugee Camp which took place over three days in October 2017 and The World on Our Doorstep event which was held at St Margret’s Church at the end of the same week. 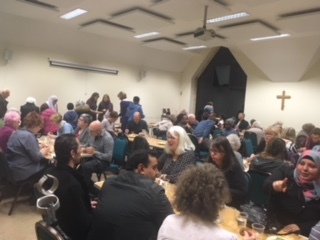 The events helped to raise awareness of the experiences of refugees in the community of Horsforth and helped to engage over four hundred people from the town and surrounding areas. 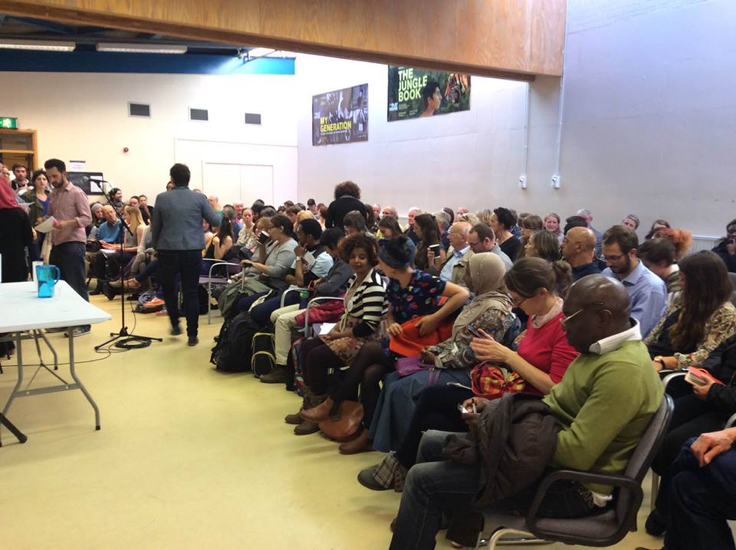 Picture from September 2015 where many gathered at west Yorkshire Playhouse to discuss how Leeds could respond to the Refugee Crisis in Europe. Number of beds available for destitute asylum seekers, West Yorkshire.